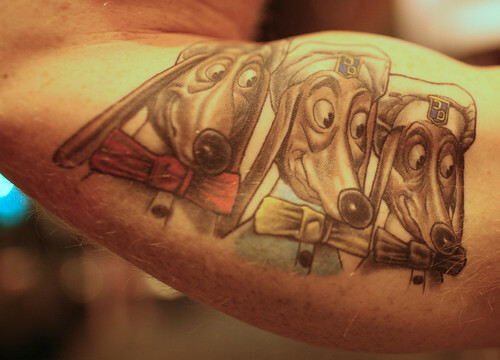 in Brooklyn had the trio of Doggie Diner dog heads tattooed on his arm. 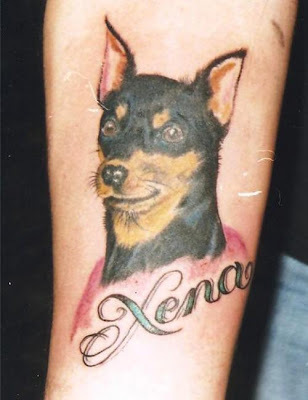 Fine needle work, though the dog doesn't look overly pleased with it. 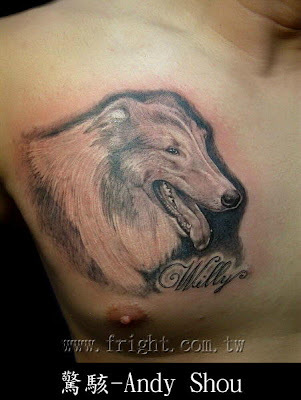 The dog was tattooed by its owner, while under anesthetic. 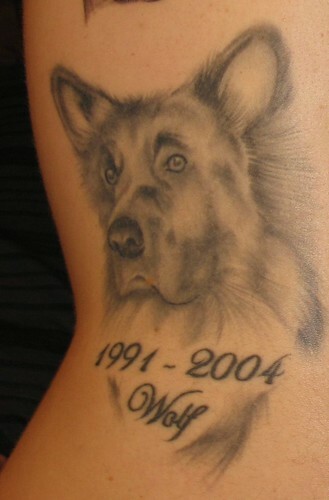 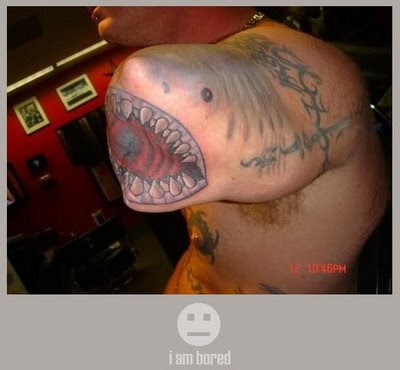 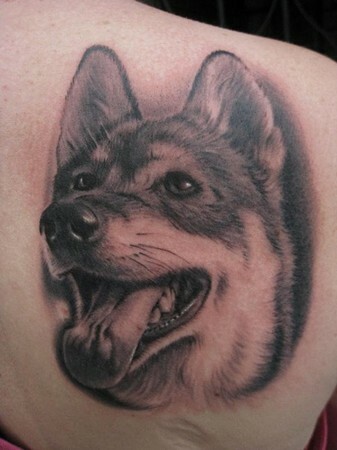 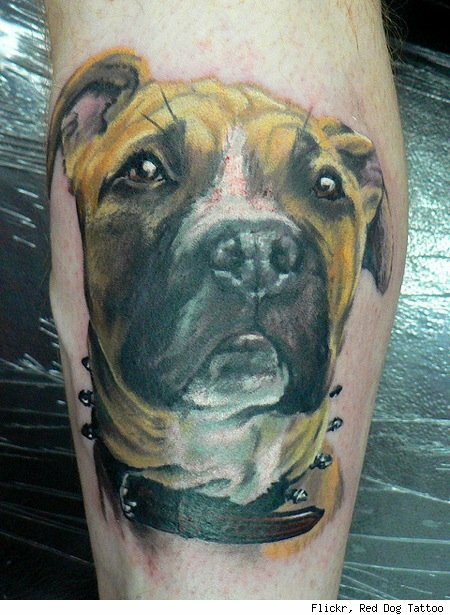 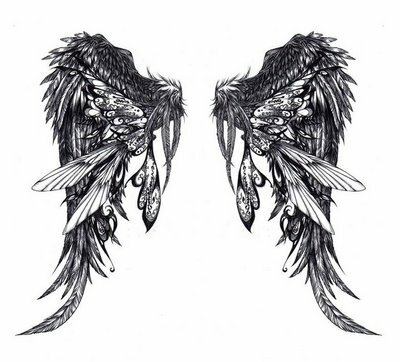 Checkout this picture gallery of some great dog tattoo ideas.